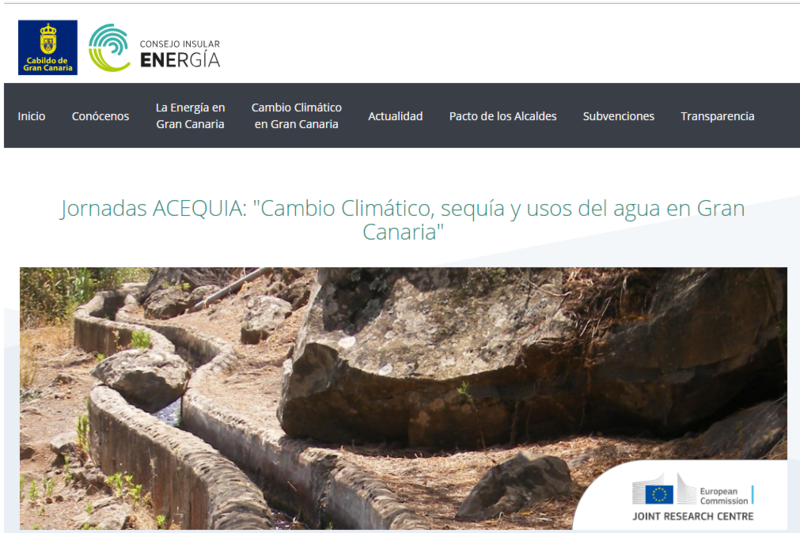 From 18 to 20 June 2018, MAGIC participated in the ACEQUIA workshop: "cAmbio Climático, sEQUíA y usos del agua en Gran Canaria", co-organized by the local government of Gran Canaria and the Joint Research Centre of the European Commission in Las Palmas de Gran Canaria. The intensive three-day program of conferences, round tables, participatory processes and field visits focused on four central issues: (i) the various causes of water scarcity in Gran Canaria, including lack of rain, excessive consumption, and losses in the distribution and storage network, and their impact on the primary sector of the Island, (ii) future evolution and projections of drought periods on the Island and associated social costs; (iii) key actions of adaptation in the context of climate change; and (iv) participatory design of water management policies, with proposals for initiatives in the field of desalination and renewable energy, discharges and uses of reclaimed water. The final objective of the workshop, that is opening a public and participatory debate between the scientific community, citizens and decision-makers, was fully achieved with the participation of local government officials, Agencia Estatal de Meteorología (AEMET), farmer organizations, comunidades de regantes, and scientists from JRC-EC, Instituto Tecnológico de Canarias, and various Spanish universities, including the Universitat Autònoma de Barcelona.